Saudi Arabia Customs has set the limit of currency to 60,000 SAR (Saudi Arabian Riyal) for carrying out (Export) of the Kingdom or bringing inside (Import) the Kingdom through airport. Exceeding the amount of SR 60,000 should be declare. 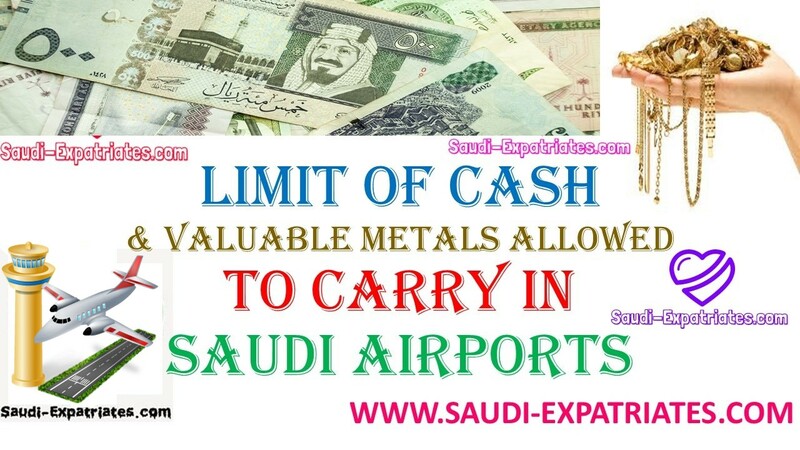 - However, one should care, where he is taking this amount as the other countries where you are going have their own rules and regulations of customs for carrying or bringing money or any valuable metals through their airports. - This limit is not only in Saudi Arabia customs, Every country customs have its own rules and regulations on the airports. They have a right to check your baggage any time.